Identify your strengths, understand your weaknesses, and write with confidence. Get good advice and actionable feedback to help you put your words together in a more powerful way. Tailored to your goals and your manuscript, the report is a unique examination of your story and its inner workings, all intended to help you take early or stalled drafts to publishable quality. A 30-minute consultation is included in the fee, giving you the chance to ask questions and/or seek clarification on the report’s contents. Consultation can be carried out by phone, Skype or email, depending on what suits you. Step 1: Order your manuscript critique by clicking the button below. Step 2: Fill out the short form and submit a sample of your work to help us find the right editor for you. Step 3: You’ll receive a no-strings-attached editorial assessment of your sample and a quote for you to review. Step 4: Once your quote is accepted, we’ll introduce you to your editor and invoice you for the 50% deposit. Step 5: Work begins as soon as your deposit has been paid. You can pay by PayPal or credit card. Step 6: Just before your edited files are returned, you’ll be invoiced for the remainder of the fee. Step 7: Your editor will send your files to you as soon as payment has been received. Step 8: Arrange your 30-minute consultation whenever you’re ready. This can be done by phone, Skype, or email. Is my manuscript ready for a critique? A manuscript critique is about finding the best form of your story. That means it’s useful at any stage of a manuscript’s life, from the first draft to the twentieth. Of course, the earlier you get in contact the easier advice will be to implement. It also helps to begin a manuscript critique early because the narrative is less “fixed,” and a wider range of possibilities can be considered. Actual timeframes depend on your editor’s schedule, but on average, a critique will take 4–7 weeks. If you have a deadline, please let us know. What’s the difference between a manuscript critique and a comprehensive edit? A critique is ideal for manuscripts that are still being developed and written. A manuscript critique consists of an editorial report and margin comments. It does not include a line edit. When your manuscript has structural issues, a manuscript critique will lead you to revise sections, make cuts, and restructure material. It doesn’t make sense to get a line edit at that stage because your text is still fluid and likely to change. A comprehensive edit is a more intensive edit that’s only used when a manuscript is structurally stable. A comprehensive edit always includes margin comments, an editorial report, and a line edit. In short, a manuscript critique comes before a comprehensive edit in the editorial chain. Does my manuscript need to be in a particular format for the critique? Yes. Please submit your manuscript as a single Word file (.doc or .docx). Do not submit your manuscript as individual chapters. The font should be size 12 with double line spacing, and it should be formatted as Times New Roman, Courier, or Sans Serif. Please note that if submission guidelines are not followed, a nominal formatting fee may be necessary to prepare your manuscript for critiquing. Should I worry about copyright? In a word: no. We know copyright protection is a big concern for authors, and guarantee that your work won’t be shared with any third parties. Your work will be provided to your editor solely for the purposes of the editorial process, and our Non-Disclosure Agreement is available to all clients prior to the commencement of any work. How do I know I’ll get the right editor? For your feedback to be useful you need to understand what it means and why it was given; that’s only possible if you have the right editor. Before your manuscript critique is carried out you’ll be asked for a synopsis of your work and to provide a short sample. This information will be used to assign you an editor with experience and interest specific to your genre. If there’s a particular editor you’d like to work with – someone you’ve worked with before or have seen on our blog – then we’ll do our best to make that happen. What isn’t covered in a manuscript critique? The manuscript critique is designed to provide broad feedback on a work’s narrative. Presentational qualities such as grammar and spelling won’t be dealt with in detail, and passages won’t be rewritten unless it’s to provide an example of how a larger issue could be handled. What does editor consultation involve? If you require an editor consultation on your critique, your editor will make themselves available via phone, email or Skype to discuss the contents of their report. 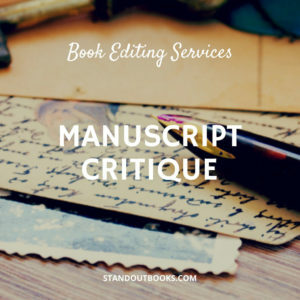 The manuscript critique includes 20 minutes of free consultation, after which further discussion can be arranged at an hourly rate. Please note: This time is intended for clarification of the manuscript critique report. Editors will not be able to provide feedback on new versions of the manuscript or changes made in response to their report as part of this service. This kind of feedback can be obtained through a re-read report, a separate service which can be arranged through your editor. What if I don’t agree with the report? A manuscript critique doesn’t involve any changes to the content, format or style of your manuscript – all feedback is given in the form of supplementary materials such as notes and a report. Your editor will explain why they’ve highlighted certain issues and why their suggested changes would work, but at the end of the day it’s entirely down to you which advice you choose to implement. Your report will be a Word document of approximately 3–5 pages in length, depending on the story. It will be broken down into manageable sections such as ‘Plot’ and ‘Dialogue’, with further subheadings specific to the story guaranteeing clarity and ease of reference. If there’s a method of presentation that you think would be especially helpful then our editors will be happy to adjust to your specifications. Deadlines vary according to the length and complexity of your manuscript, but an average of 12 business days is expected for manuscripts of around 70,000 words. Yes, there is a minimum charge of $120. You can either start your order below or get in contact with us through our contact form to begin the process. Do you offer anything more in-depth? 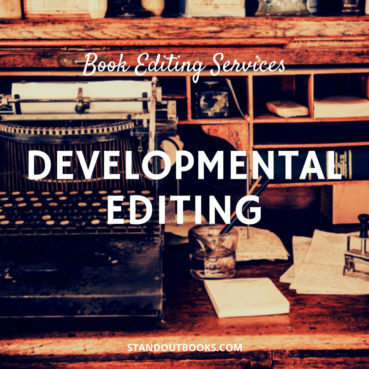 If you’re interested in working with an editor to develop your story from an early stage, then a developmental edit might be for you. If you’ve already had a manuscript critique and you want to see if your changes have improved the story, then a re-read report is the best way to go and can be arranged through your editor. Could I contact one of your previous authors for a reference? Absolutely! If you’d like to hear about the service from someone who’s used it before, then just let us know, and we’ll provide you with the contact details of authors who are happy to discuss their experience. This agreement is made between Standoutbooks Ltd. (“Standoutbooks”) and the copyright holder of said book, assignee thereof, or anyone authorized to execute this Agreement (“Client”). The Client acknowledges that the manuscript submitted for editing must be a Microsoft Word document with double line spacing. The manuscript must be submitted as a single document and not as individual chapters. The Client acknowledges and understands that all edits are made in Microsoft Word using the “Track Changes” feature. The Client further acknowledges that it is his/her responsibility to accept and/or reject edits in Microsoft Word and that such training is not included in the editing fees charged. Standoutbooks reserves the right to verify word count as reported by the Client and charge the Client any additional editing fees based on any discrepancies Standoutbooks finds in the word count. 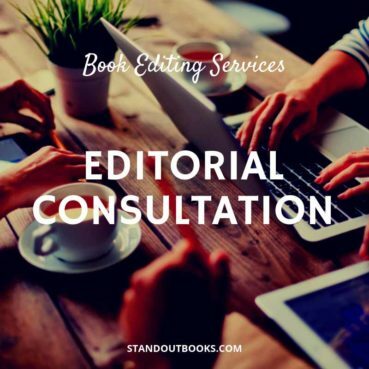 There is no guarantee by Standoutbooks that the Client will like or accept the edits made by our editors. Once the editing process has commenced, the Client is not entitled to a refund of any kind, unless the editor fails to edit the manuscript in the times set forth below, and said breach isn’t cured within five business days. After paying the deposit, and submitting his/her manuscript, the Client shall be assigned an editor who best suits his/her writing style and genre. The editor will read through the manuscript with an eye for craft elements such as plot, character development, pacing, tension, show and tell, dialogue, etc. (in the case of fiction), and clarity, consistency of argument, arc, etc. (in the case of non-fiction). The editor will write an editorial report (approximately 3-4 pages long) discussing the strength and weaknessess of the book, and providing suggestions/advice for improvement. The editor will make light annotations to the manuscript in the form of comments to explain the points in the report as necessary. The editor will conduct a 20-minute telephone or email consultation with the Client following the edit to answer any questions or concerns regarding the editorial recommendations. Provide a complete fact-check of the manuscript. Edit the Client’s revisions in response to the critique. Any errors incorporated into the manuscript after the Client has approved the editor’s revisions will remain in the final manuscript. Secure any necessary permissions for reprinted material including, but not limited to: song lyrics, photos, poems, newspaper articles, or text. A deposit of 50% of the full fee is due at the beginning of the edit, prior to the commencement of work, and 50% at the end. The Client agrees to pay the final amount within three business days of receiving the invoice. The fee is to be paid by the Client to Standoutbooks by PayPal or Credit Card using the Standoutbooks’ Online Payment Processing System. The editor will have the original manuscript critiqued within fifteen business days from receipt of the deposit. In cases where the manuscript exceeds 80,000 words, additional editing time may be required. 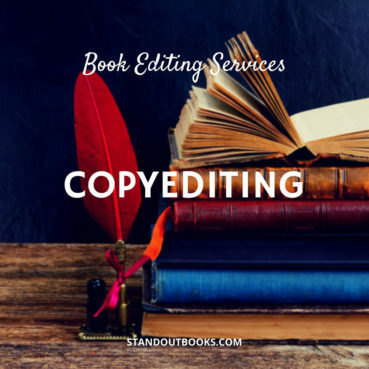 The Client shall retain sole ownership of the original manuscript submitted to Standoutbooks as well as any contribution of the editor through revision, editing, suggestion, or idea. Any contribution of the editor will be considered to be a work made for hire within the meaning of the U.K. Copyright, Designs and Patents Act 1988 or by assignment. Standoutbooks further agrees that any material submitted to the editor, including data, transcripts, ideas, and information and any association between the Client, the editor, and the submitted work will be kept strictly confidential. This agreement may be terminated by either party in the event of material change of circumstance, with ten business days’ notice sent in writing to the other party. If Standoutbooks terminates the agreement, Standoutbooks will be paid by the Client for work done up to the date of termination. If the Client terminates the agreement, Standoutbooks will be paid by the Client for the work done until termination. 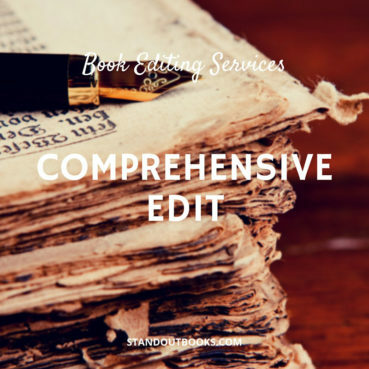 Editing is intrinsically a process of offering advice and suggestions to the Client. In addition to offering such advice and suggestions, the editor’s responsibility is limited to notifying the Client of any unresolved issues before the work proceeds to the next stage of production. While Standoutbooks will make every effort to bring questionable material to the attention of the Client, the Client agrees to indemnify and save Standoutbooks from any and all claims or demands, including legal fees, arising out of any alleged libel or copyright infringement committed by the Client in creating the work. This Agreement is governed by the law of England and Wales, and is subject to the exclusive jurisdiction of the courts of England and Wales. 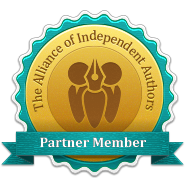 This contract may be changed only by written agreement between Standoutbooks and the Client. I studied and read many articles on writing. How to write a story for success was my goal, but it wasn’t until I received my Manuscript Critique from that I realized what a difference a good critique makes. I made the recommended changes and read the results and was ecstatic!’s detailed report of my first ten pages was the perfect guide, on point, and personalized. Contacting her to review my work was the best overall decision I’ve made in preparing my book for publication. Like many new writers, I needed someone other than family or friends who would give me real critique. So I sent my manuscript to Standoutbooks for their manuscript critique. I can tell you I was quite nervous, having never done this before. delivered within a few days as promised and the result was more than I could have hoped for. Her remarks were clear and concise. I worked through her recommended edits, changing and re-writing where needed. The result was a huge improvement. It didn’t stop there, I had a couple of questions, replied quickly and happily answered my queries. I can use this valuable assessment on my manuscript and then I will most certainly use Standoutbooks for a development edit. My dream of becoming a published author is getting nearer. Look out next year for my new YA fantasy ‘Opening’. Thank you for the most amazing Manuscript Critique ever! is quite amazing! I’m actually excited for edits!